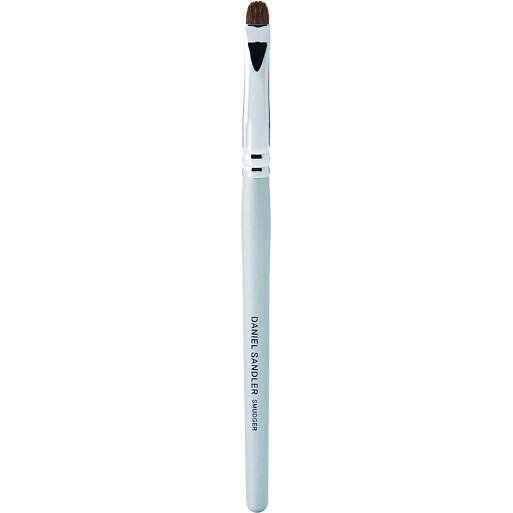 For ultimate precision when lining and smudging shadow around the eyes, rely on the Daniel Sandler Smudger Brush to get it right every time. Perfect for softening pencil lines or smudging dark shadows for a smouldering effect. Daniel Sandler Smudger Brush is rated 5.0 out of 5 by 1. Rated 5 out of 5 by LizzieLuck1 from Great Smudger Brush I wrote a review about the D Sandler Long Lasting Waterproof Eyeliner in Black Velvet and used this smudger brush with the eyeliner. I would say this brush is excellent to help smudge and create a great smokey eye and does, as D S says in his video help to create a professional finish - and better than using your finger to smudge - but that's just my opinion as someone who isn't that talented at make-up application so a little brush like this helped me out no-end!